We will work closely with your financial advisors, legal counsel and other trusted advisors to determine your best possible course of action. We will provide your team with market data and a financial analysis of your real estate assets. If a sale or exchange is appropriate we will provide you with a detailed marketing plan formulated to provide optimal results in the shortest reasonable time frame. We provide dynamic, cutting-edge marketing. What can you buy? What should you buy? We will work with your lender, financial planners and advisors to determine an ideal target property that is financially feasible. We will provide you and your team a financial analysis of all target properties. What is on the market? We have you covered! 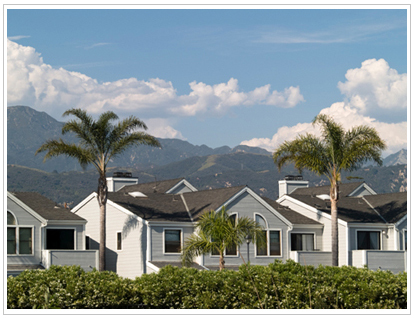 We are members of all of the Multiple Listing Services in the California Central Coast - Santa Barbara, Ventura and San Luis Obispo counties as well as other national and international investment property data services. We will send you all current active inventory that is suitable and will initiate instant e-mail notification of new suitable inventory. A track record of success since 1979! Over 2/3 of our transactions involve this structure. We have worked with financial institutions, institutional and private trusts, churches, schools, fraternal organizations, charitable entities, non-profit organizations, large multinational companies and governmental entities. To subscribe to the Central Coast Investments email list, Click Here.